"...Ye are deceiving yourselves, knowing neither the Scriptures, nor yet the power of Yahweh" (Mt. 22:29). The foundation of all truth is the Old Testament (Law, Prophets & Psalms (Lk. 24:44)). It appears that the majority of Christians, pastors included, lack this very foundation, resulting in blind shepherds leading their blind flocks. This should not surprise us because one of our adversary's methods is to, 'blind the mind' (2 Cor. 4:4). This same blindness was demonstrated by the religious rulers in Christ's time because the Old Testament spoke of his coming, death and resurrection but they were blind to these truths. These religious people did not recognize their foretold Messiah because they were deceiving themselves, knowing neither the Scriptures, nor yet the power of Yahweh. Much of their blindness, as well as ours, comes from religiously following those who have come before us, rather than following the Hebrew scriptures. 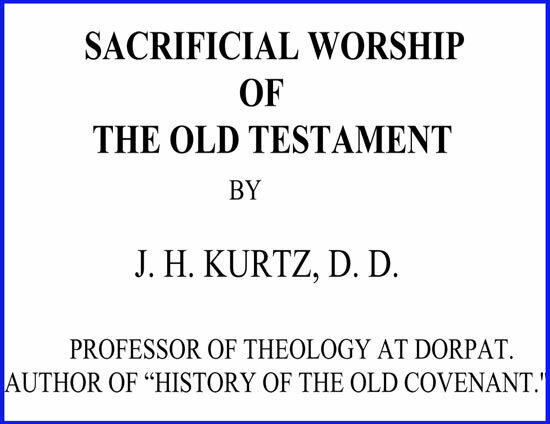 The majority of Christians who were reared on the New Testament believe in doctrines that are not in the Old Testament such as: Hell, the Trinity, the immortality of the soul, going to Heaven upon death, and in many other doctrines which are too numerous to mention. If these people had been reared reading an accurate Old Testament, such as Rotherham's Emphasized Bible, then these doctrines, although taught by their Churches, would all have been rejected by them because their foundation would have been upon the Law, the Prophets and the Psalms rather than upon the foundations of men. Learning the Old Testament helps to heal those who have been infected with the doctrines of men. This leads me to present two teachers of the Old Testament, Alfred Edersheim and John Schoenheit. 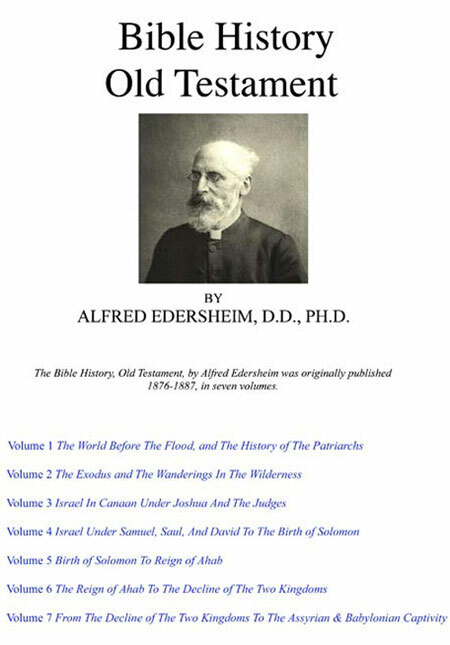 Alfred Edersheim (1825-1889) was reared a Jew, reading the Old Testament, in Hebrew, before he became a Christian. His strong points are his great knowledge of the Hebrew Old Testament, ancient history and geography, which are presented in his 7 volumes of The Old Testament. His weak points came about when his Christian brethren began to teach him man-made theology. This additional education resulted in his books, in a very small way, proclaiming some of the doctrines of men, such as the Trinity; the immortality of the soul; the preincarnate Christ etc.. A wise person once said, 'Drink the soup and spit out the bones,' which we can do when these doctrines emerge. John Schoenheit is an Old Testament teacher who is running Spirit and Truth Fellowship International. His audio course, 'Journey through the Old Testament,' which I have titled, 'Old Testament Studies,' is a very enlightening course. For the most part, his teachings do not contain the doctrines of men. I encourage you to build your foundation upon the foundation of the Law, the Prophets & the Psalms. The Greek New Testament, a fulfillment of the Old Testament, must be reconciled to these writings and not visa versa. For example, the Creator is Yahweh and not Theos. Sheol is not Hell. The Valley of Ben-hinnom, is Gehenna. The dead are not in Heaven or Hell (Ps. 37). The New Earth is our promised home and not heaven. Satan is not running Hell. There is no immortal nephesh (soul). As Alfred Edersheim said, "Oh, if people were only as willing to seek truth as Yahweh is willing to reveal it, how few would remain in fatal ignorance." Let us pursue the truths of the Word of Yahweh, disregarding the doctrines and traditions of men, by being grounded in the Old Testament.